Dr. Paul Scimonelli recently retired after sixteen years on the Performing Arts Faculty at the Landon School in Bethesda, Maryland, where he taught General Music, Music Theory, Music History, Chamber Ensemble, Lower, Middle, and Upper School String Ensembles, as well as assisting with the Jazz Band. He was the Director of Strings, as well as the Assistant Conductor of the Landon Symphonette. Dr. Scimonelli holds a doctoral degree in Music Education from The Catholic University of America where he was the Director of the CUA Jazz Ensemble and the “Fighting Cardinals” Pep Band. 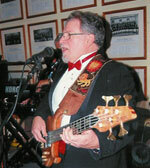 While at CUA, he was appointed to the part-time music faculty as an Instructor of String Bass. 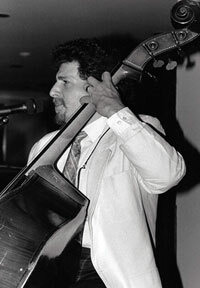 Paul is also a guest lecturer at the University of Maryland, Baltimore Campus, and a contributing writer for Bass World magazine, the official publication of the International Society of Bassists, as well as the American Music Teacher magazine and Stringendo, the official magazine of The American String Teachers Association. His previous teaching experience includes being on the part-time faculties of Prince George’s and Howard Community College. From 1969 to 1973, Dr. Scimonelli was a member of The United States Marine Band, “The President Own.” His primary duty was to perform at The White House and The State Department, as well as many other diplomatic functions. While there, he accompanied such luminaries as Peggy Lee, Vickie Carr, Sammy Davis Jr., The Fifth Dimension, Johnny Mathis, Red Skelton, Garry Puckett, Jerome Hines, Bob Hope and others for private Presidential audiences. Paul began playing String Bass at age 11 and has been an active professional performer for over 55 years throughout the greater Washington/Baltimore area. In the Classical field, he has performed with Orchestras in Alexandria, Fairfax, Richmond and Lynchburg Virginia, Tucson, Arizona, The Catholic University of America, the Landon Symphonette, The Thomas Jefferson University, The Columbia Orchestra, The Symphony of the Potomac, and The Baltimore Chamber Orchestra. In the Pop and Jazz field, Paul has led his own Jazz/Rock band called “Street Life” for the past 30+ years, playing throughout the United States. Of the thousands of performances they have presented, the most memorable were at the 1989, 1992 and 1998 Presidential Galas in Washington DC. In the summer of 2010, Dr. Scimonelli was a Fellow at the Conductor’s Institute at Bard College, where he worked with Harold Farberman, Lawrence Golan, Apo Hsu, and Edward Navage. He has also studied conducting with Dr. Robert Garofalo, Kenneth Kiesler, Kate Tamarkin, Dr. Jacques Voois, Patricia Handy (Greenwich Symphony) and Dr. Leonard Atherton. Paul has been married to his wife Ginny for over 45 years. His son Anthony and his wife Elisa gave birth to daughter "Mickey" in July, 2017 Son Marc and his wife Annemarie are the proud parents of Conner, born in the summer of 2016. Daughter Natalie is currently finishing her Masters Degree in Business and Leadership at Notre Dame University of Maryland, while planning for her wedding to Alex Van Horn in the spring of 2019. Paul's biography of former Washington Senators slugger Roy Sievers was published in December of 2017 and is currently available for sale at Amazon, Barnes & Nobles and McFarland Publications..